Want to start a blog and get paid by blogging? From the last 11 years, ShoutMeLoud has been teaching about blogging to millions of users around the globe and we are also publishing income reports every month to help you start a blog and live a boss-free life. After all, What’s better than following your passion and earning passive income via this. None the less, it’s a great way to start building your online career which could help you reach the new heights. What should be your domain name? How to buy the domain name? 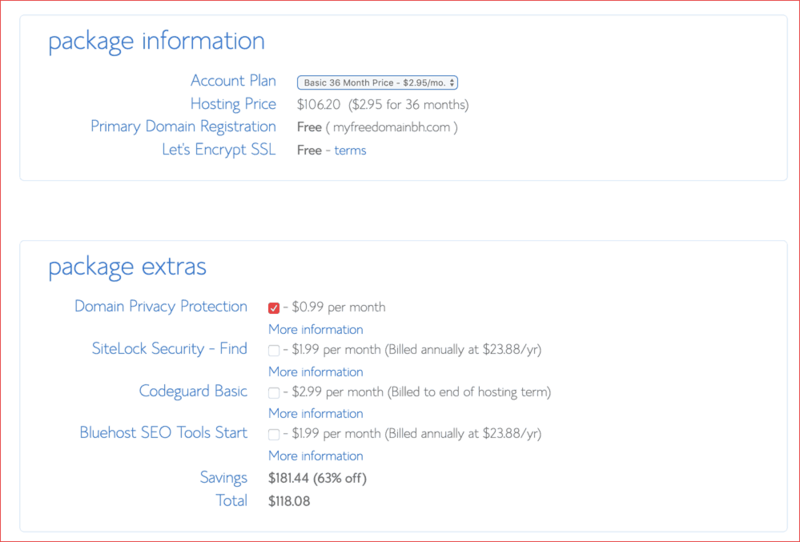 How to buy hosting for your domain name? How to install your blog on the domain name? In this guide, you will find answers to all these questions and will be able to start a blog. So grab a cup of coffee and read on to your new journey. If you already know the answer to some of these steps, move to the next one and save time. Note: To make it easier for you to take action, I’m suggesting only those options in terms of platform, hosting which are working for everyone. FAQ about starting a blog? This guide is created for users like you who are just starting out and knows a little or nothing about blogging. Within the next few minutes, you will have your blog up and running. And its also going to be better than most of the other blogs on the internet. Just remember these 3 secrets when picking a domain name for your blog. Name of your blog is the most crucial part for success. A domain name is the URL of a blog which a visitor will use to open a blog. When you start a blog on BlogSpot or WordPress.com platform, you get an address like name.blogspot.com and name.WordPress.com. A custom domain name is like www.ShoutMeLoud.com, for which we need to pay $12/year. 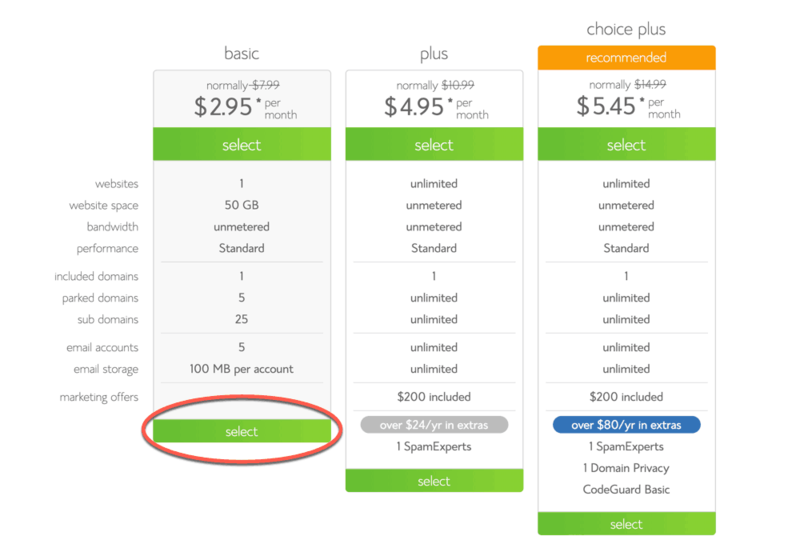 However, I have shared a trick below which will help you save this $12 on domain purchase. Prefer .com domain name above everything else. Your domain name should be easy to pronounce and easy to type. Make sure your domain name should not be confusing to the listener. 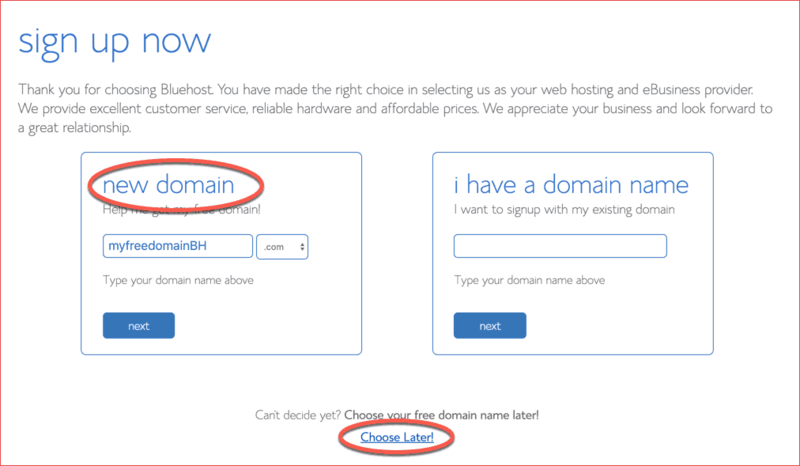 You can use Bluehost domain suggestion feature to check if your domain name is available or not. Simply enter any word that you have picked for your blog and it will also show you available domain name suggestions. Don’t use domain extension like .info, .net and so on, because they tend to rank bad in Search engines. I always prefer and suggest to use a domain name extension like .com or .org. Now, let us build our blog on a hosting. Web-hosting is where WordPress will be installed. This is a server which stays online 24*7 and all your future blog images, your blog design and everything will be stored on this server (hosting). That is how your website will be up and running 24*7. The good thing is, hostings are cheap. Select Basic plan if you want to start one blog or Plus plan if you want to start more than one blog. On the next page, you can claim your free domain name. If you are yet not ready with your domain name, you can click on Choose later. On the next page, fill up your contact information. Pay special attention to package extras as you can skip a few things to save some money. Apart from Domain Privacy Protection, uncheck everything. Under payment information, you can pay via credit/debit card or if you want to pay via PayPal, you can click on More payment options. Once you have made the payment, Bluehost will also create your blog in next 10 minutes. This will be done automatically and saves a lot of hassles for beginners who just want a ready-made blog. Once you are done buying hosting + domain name, Bluehost will automatically install the WordPress software on your domain name. That means your blog is installed and now comes the cool stuff which is something every beginner blogger enjoy. Learn how to set up a WordPress blog for the first time. The first answer you should have is, where should you create your blog? There are many blogging platforms out there, and people have different opinions about each of them. Most of the Bloggers start blogging on the WordPress platform. WordPress is popular because it’s easy to use. Here is an interesting fact: 30% of the websites in the world is powered by WordPress. Once you have crossed the testing period, you are ready to do something more meaningful. Get a WordPress blog, and don’t confuse yourself with WordPress.com and self-hosted WordPress -blog. A self-hosted WordPress blog (WordPress.org) is what you need. It means you will be installing WordPress on your own hosting and getting a domain. This process is easy & in the further section, you will also learn how to do that. The very first thing you need to do is find the niche of your blog. By niche, I mean finding a topic that your blog is going to be about. I hope you don’t plan to blog about every random thing and make money. This doesn’t work in 2019 and your chances of success are better when you blog on a single topic. You might be a jack of all trades, and want to start a blog on multiple topics, but it will not be fruitful, as people like to subscribe to a blog, which is an authority on a particular topic. Moreover, Google which is the biggest search engine prefers a website which is built on a single topic. For example, ShoutMeLoud topic is “blogging,” and that’s how you found us. how to find the topic of your blog? Find a topic that you know better than anyone else. It doesn’t have to be the job you are doing, and it could be anything. Try to think about the topic that you mostly like to talk about, and you can comfortably talk about it for hours. The good idea is to pick a topic that you usually read about. The topic which you read about all the time is something that interests you. Also, make sure you have a keen interest in a particular topic, and you can add values with your own insight. For newbies, I always recommend to take the help of pen-paper and write down the topics in different columns that you like. For ex: Motivation, Fashion, Technology, Finance, Photography, Scientific research, Babycare, health care and so on. Now, try to write 20 post ideas for those different columns. When you are writing the post title, think about what you can write without taking reference. By the end of the 20th article, it will help you to find the topic (Niche) that you like the most. This is a critical step before starting a blog, as it will help you to pick a topic that you are most passionate about. This will ensure that you will not burn out when your blog goes live. If you are picking a topic that you like to talk about and write about, it will ensure that your burn out period will never come. So, I assume you have selected the niche for your blog which can make some money for you. 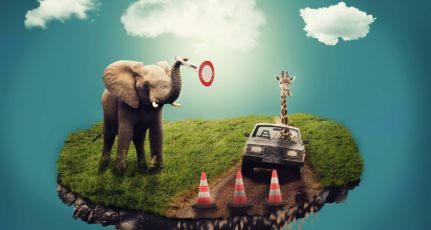 How to choose a niche of your new blog? Why nicheless blog can’t compete with a niche blog? Conclusion- selecting the appropriate niche is the first and the most important step for starting a new blog. “The first impression is the last impression”, that’s the mantra we follow for a blog. Blog design is the most important aspect of your blog because a good design will ensure that your visitors will love your blog. In fact, that is how your readers will remember your blog. Imagine your blog design as you with a nice outfit. In WordPress, there is a concept called “WordPress themes”. These are ready-made designs that are available for all types of blog. There are many free and Premium WordPress themes out there. I always recommend to go for a premium theme because you will get all the support and starter guide, and moreover, you will have a quality design for your blog. Here are easy to use modern theme clubs which I would recommend you to start with. Astra theme: This is a lightweight theme which offers the template for all kind of blogs. Once you install this theme, you can pick from the ready made template and your blog design will be ready within 30-45 minutes. This is a perfect companion for any new WordPress blog. Genesis: This is the costliest option, but certainly one of the best theme framework out there. You should opt for pro-package, which will let you access all their skins and future updates for free. There are many more premium WordPress theme clubs out there, but I recommend any of the above two for a professional start. There are thousands of WordPress plugins out there. Below I have mentioned only those plugins which you should install from day one. Read this tutorial to learn how to install a WordPress plugin. You can find a list of best WordPress plugins here. There are many more plugins, but the above plugins will ensure that you have all the basics plugin installed on your blog. If you have followed, all the steps until now, your blog is up and ready. Now, comes the part which you should be doing over the period of time and that is adding new content. Before you start writing your first blog post, you should make a content plan. You can use an excel or use a Trello board. Here is a free Trello content planning board that you could use. This Trello board also comes with a checklist to help you write the perfect article. Click on more on the right sidebar and click on copy board. In the article ideas, write down all the content that you could write. You can also create an outline of the content if you like. It’s a good idea to do this in one sitting and next time you can start writing your content (one at a time). Now, this is where the real fun begins, writing your first article. 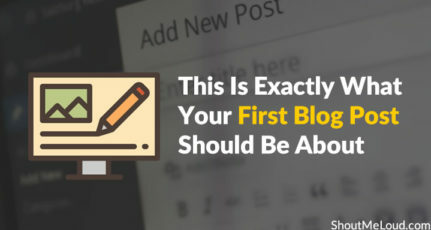 Here are the guidelines to help you decide what your first blog post should be about. When you are writing your content, imagine there is a person sitting next to you, and you are talking to the person. Write in the first person tone, because there is a single person who is reading your blog. For example, you are reading this blog post alone. That is why you might notice, my tone is “I” and “You”. Your content should cover all the aspect of the topic you are writing about. Feel free to write 1000+ words. Do not copy images from Google. Rather use these sites to download free to use images. You can also embed videos from YouTube. Here is a tutorial on how to do that. If you wanna skip the general crowd and level up your blogging game, then read my guide on SEO copywriting. This will ensure whatever you will write will help you drive great traffic from search engine. Here are some of the important pages, which you should have on your blog from day one. About page: Contains detail about your blog, and you. Contact page: A page with contact form. You can use free contact form 7 or Jetpack contact form feature to create a contact form on WordPress. Media kit page: You don’t need it now, but you should know about it. This page is where you will write about your blog traffic and available advertising options. So, you have got everything covered and your first blog post is live. Now, the next step is to driving traffic. Follow the steps mentioned here and that will help your blog to be visible in Google search. Now, there are many techniques which you can use to get traffic to your newly created blog. How to promote your blog (Get your blog noticed). Once you have established your blog, make your blog social so that your readers can join your community. You just need to get started and no need to stress, as again I’m here to guide you with the best resources. To get social with your blog, you need a Facebook page, Instagram account, Twitter account. Here are resources, which will help you to get started here. There are many ways by which your blog can earn passive income for you. SEO is an advanced topic and it’s hard to complete it in a single article. Many newbies try not to concentrate on search engine Optimization, and it’s a big mistake. On page SEO: Your content quality, Keyword placement, and other factors. 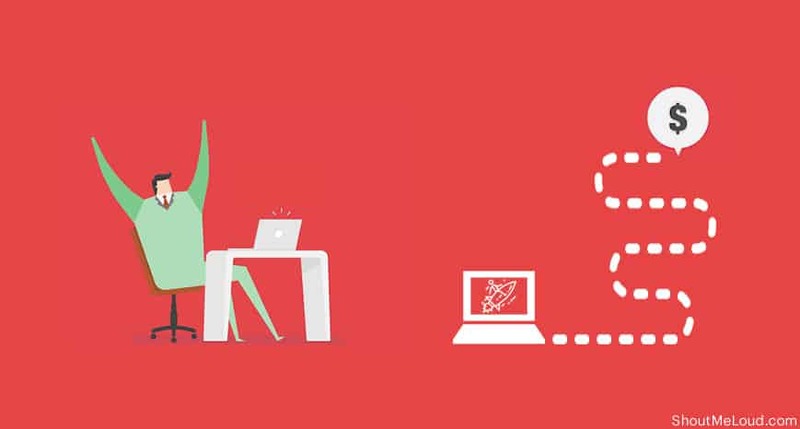 On-Site SEO: Crawling, indexing of your website. Off-Site SEO: Backlinks from other sites. Social signals: Social media plays a great role in improving your blog ranking. Google plus is proven to be the best social networking site to improve ranking. User experience: New Search engine optimization is all about giving a great user experience. Some of the key aspect of good user experience: Navigation, site loading, website design, readability and so on. If you have done everything as mentioned above, you will start getting organic and traffic from social media sites. Now, here I’m sharing some of the selected posts to help you drive more traffic to your website. Do remember, targeted traffic makes more money. One major difference between a normal blog and a good blog is the detailing. In the world of blogging, we always wish that there were someone who can guide us right from the scratched when we start a new blog. While that may not be possible but there are plenty of resources available. Join the group and forums related to blogging and put up your doubts, there are thousands of people out there to help you out. Beginner blogs can start with ad networks like AdSense, Media.net and affiliate marketing to make money. How many posts should you post daily? The idea is to be regular with posting. You can target one post a day and if you are creating long-form content (over 2000 words plus), even 2-3 a week is a great number. When should you start putting ads on your blog? It depends on what kind of ads you want to put. Check out make money blogging guide to understanding various options you have. You should read our earlier guide on when should I start using Ads on my blog. I tried to cover as much as I could for a newbie to get started, but if you still have a question in your mind before starting your new blog on WordPress, feel free to give us a shout via comment. Do share this start a blog guide with others who wanted to create a blog for some time. A blog scientist by the mind and a passionate blogger by heart ❤️. Fountainhead of ShoutMeLoud (Award winning blog), speaker at various international forums. Life motto: Live while you can! Teach & inspire while you could & Smile while you have the teeth. Niche selection is where every bloggers lacks behind. And i think he needs to be guided properly. Just to enhance that particular point Niche should be selected as no one did. That doesn’t means that you have to do some thing else you just have to do some thing differently. Everyone knows about how to create blogs today. They are lacking behind in the knowledge of getting traffic and making money. The tips published in various blogs are not sufficient to get more than 5000 visitors daily. Still, there is something which is secret of bloggers like you (Harsh Agrawal), Darren Rowse, Jon Morrow. I hope I will also get traffic like these bloggers soon. I agree to you. May be from our perspective everyone now a days know to start a blog. We can say that because we are blogging. But going back to our starting phase of blogging journey, we knew nothing about how to start a new blog. I taking my case, did not know which was the best platform and I had spent countless hours doing Joomla. Taking the similar case, there are thousands of newbie around the globe who are willing to start a blog and they are confused about every bit of blogging. This post is mainly to tell them for a perfect start and than emphasizing on generating traffic. I was thinking that I need to write 25 articles first before I start a blog. However, thanks to your guide, I learned its not necessary and I could get started by creating the blog and later on build blog post. Sooner you start better it is.. 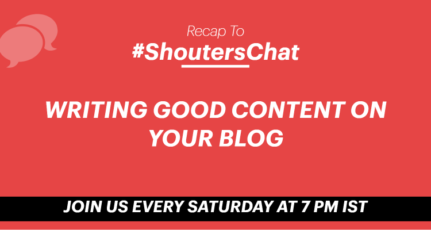 If you are guest posting for traffic, and branding, then it’s good to have 5-10 posts, else visitors might not convert into regular readers…. Directory submission will help in building links, and thus higher ranking in searches.. Do keep in mind, after Penguin update Article directory submission is not that effective, but they do work. Well yes, a newbie blogger should start a new blog with the niche in which one is interested and should work on it, but sticking to a particular niche and working on it is really important for non-personal blogs. This is applicable for anyone from any country, be it India, United States, Pakistan, United Kingdom, Nigeria, Brazil or any other. And no doubt a good looking and fast loading blog will attract visitors and as said: “the first impression is the last impression”. Thanks, for this wonderful and useful guide on “how to start a blog”. Epic one! Lots of info, with good links, comprehensive one. I disagree with a point when you say WordPress is for long run, blogspot is for newbie. there are thousands of blogs running on blogger that are better than wordpress in terms of design and revenue. And after all blogger is a Google Platform. And if you talk about SEO, there is a little relevance of descriptions and keywords in SEO field. Google is itself a math but expect human behavior from users. I also to a certain extent disagree with the topic of choosing niche blog. Suppose i’m interested in making a blog on religion because that’s where my interest lies. Perhaps you know one of the lowest CPC rates is on religion and very comparatively less people are interested in it. it’s not what you feel, but there are several factors like CPC rate, interest, materials available, keyword competition and others. Blogging in my experience is perseverance. I once got visitors like 400 in relatively less known blog, and now it has been reduced to 50..there is always ups and down but consistently doing things with enthusiasm without looking back can give you good result. And anyway, people waste so much time in flimflams why not take it is a constructive waste of 2 hours daily! Thank you for sharing such informative blog, and specially that SEO points. Its not difficult to start new blogging website, but the most important to get visitors on that blog. Niche selection is where every blogger lacks behind and most of the time they end up with a wrong one like they don’t know about blogging in the initial stage but they are choosing niche like “learn blogging” “make money online” etc. And I think he needs to be guided properly, Just to enhance that particular point Niche should be selected as no one did, That doesn’t mean that you have to do some thing else you just have to do some thing differently. thanks to you HARSH that you share everything worth reading, its more practical steps than just a raw theory. you will be glad to know that I have successfully created my blog by reading your article. This is one of the best start a blog tutorial that helped me to start my own blog. A great article to begin with. And to be honest Harsh is one of the person on this planet that inspire me to have my own blog and today I have that. This is great post and I read a way while back. It really helped me out. Now I have started my own blog and implemented monetization methods on it. All this while ShouteMeLoud has been a lifesaver with it’s detailed tutorials and guide and supporting explainers. Thank you very much. You always be an inspiration for newbie bloggers. Choosing the right niche is very important. Today newbies trying to rush in a niche that generates lots of money but eventually not able to create quality content which turns down their blog and they failed. So, it is quite important to choose the right niche. Thanks for writing such an informative and detailed post. Thanks for your comment and yes, picking a profitable niche without a passion for the topic, doesn’t go long way. Following above mentioned 4 step niche selection process is the way to be successful in picking an idle winning niche. There is a big difference between “starting a blog” and “starting a blog – the right way”. You can start a blog as you want. But if you want to start a blogging business, then you need to start it the right way. To “start a blog – the right way” means, you first need to get the right blogging mindset and choose the right blogging platform and hosting. However, thank you Harsh for sharing this step by step guide. It all starts with one step at a time. Having a business plan from day one is definitely idle for those who are planning to make money along. Thanks for your valuable comment and inputs. It’s better if you use TLD’s like .com to start your blog. It would be better in the long run from SEO perspective.